Princess dresses are meant to inspire her imagination and encourage empowerment. It's not enough for girls to look beautiful in our princess dresses, we also want them to feel special. Unlike the scratchy princess dress costume of the past that she couldn't wait to get out of, our princess dresses are super comfy. She will absolutely want to live in them. 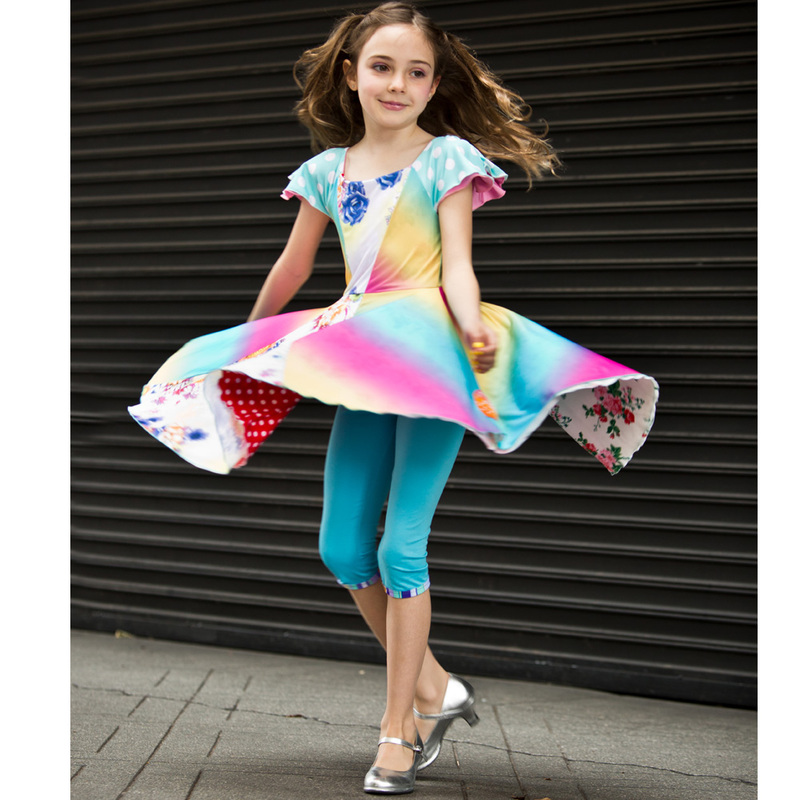 This dress is magical enough to wear every day while she runs, plays, jumps, and twirls. (It's super twirly!) And unlike princesses of times past, the TwirlyGirl Princess is the hero of her own story. She doesn't need to be rescued, she rescues others. And thanks to her, everyone lives happily ever after! Our princess dresses are made in limited quantities and numbered... just like works of art. We do this because she won't feel special if everyone else is wearing the same princess dress. We realize that this can make shopping tricky, because once a version is gone, it's usually gone for good. That's why we recommend customers Shop by Size. That way you can be sure we have her size in inventory. On the left side of every page, you'll see a purple "shop by size" tab. Just click it and we'll do the rest. And if you're still not happy with our selection, just check back in a few weeks. This is a very popular style dress, so we are constantly introducing new versions. If you prefer to be notified when we have new versions, just sign up for our newsletter. You can find a link to in the footer of every page of our website. If you need any further assistance, please don't hesitate to reach out. Our style coordinators are more than happy to help you shop any of our styles. The important thing is that she shares her twirl with the world.